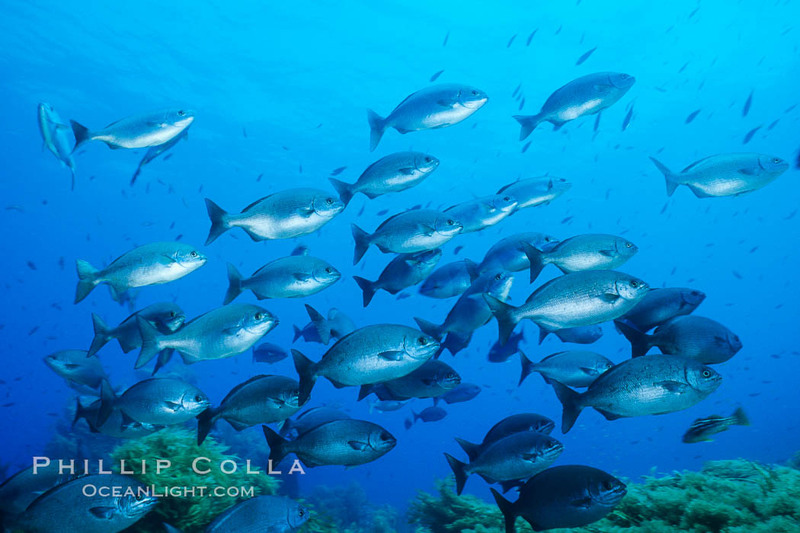 Guadalupe Island (Isla Guadalupe) straddles both tropical and temperate fish ranges and offers a unique mix of species to see. It is not uncommon to see Panamic fanged blennies and red-tailed triggerfish alongside blacksmith and garibaldi. Shown here is a small school of Cortez chub (Kyphosus elegans) that was stationed at one end of Church Rock. Dominant male Cortez chub have a striking golden phase that I have only seen a few times at Guadalupe.